Approximately 300 people, including 27 mayors of 43 cities, attended the Cities United Conference hosted by Minneapolis on August 23-25. Last week’s top MSR story began our report on the event; this story completes that report. The Jamar Clark shooting tragedy in 2015 and the almost three-week Fourth Precinct protest and occupation that followed prompted City and police officials to seek new ways to address future such incidents. 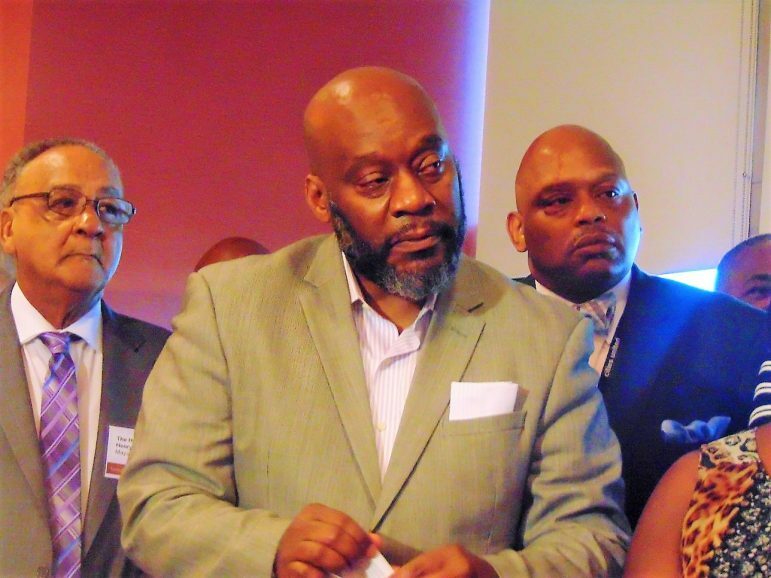 “A Strategic Resource for Mayors on Police-Involved Shootings and In-Custody Deaths” is one of multiple projects that Minneapolis Mayor Betsy Hodges and City officials collaborated on with Cities United, a Louisville, Kentucky based advocacy group, to focus on reducing violence in the nation’s cities, especially among Black men and youth. Mayor Betsy Hodges proudly announced that “Minneapolis is a proud member of Cities United,” adding that nearly 100 cities are also members and that Minneapolis is not the only city to experience violent crime. Cities United helped Hodges with two specific projects last August. The first was last summer’s launch of the Collaborative Public Safety Strategies program for Little Earth of United Tribes in South Minneapolis and the West Broadway corridor in North Minneapolis. According to a City press release, both communities have been more harmed by violence than others. “The city solicited ideas from youth and community for how to create safe, healthy, and hopeful neighborhoods…” and allocated a total of $500,000 to the two areas. “We are hearing stories about the projects that people are doing,” Hodges told the MSR, adding that her office hasn’t yet fully assessed the program. The second project was the Next Step Hospital-Based Intervention Project, launched in July 2016. It is a partnership between the City of Minneapolis and Hennepin County Medical Center (HCMC) to serve victims of violent injury (such as gunshot, stabbing or serious assault) ages 12-28 being treated at HCMC. 64 out of 98 (65 percent) individuals receiving services were Black; out of those numbers, 74 were males (76 percent), 45 persons (46 percent) were between the ages of 25-59; 38 persons were between ages 18-24. As of June 30, only three persons returned to HCMC with a violent injury. Nearly 60 percent of the participants developed a goal plan, and 70 percent of those who developed a goal plan completed at least one goal related to safety, housing, mental or physical health, access to basic needs, employment, education, positive activities or areas that promote holistic healing. Hodges said Cities United is very helpful: “I started using all of the ideas they had.” She said the city’s citizens are benefiting from their help but pointed out that there is still work left to do in Minneapolis.